The 10mm Ruger Super Redhawk revolver is a beast, so naturally we pushed it out to 440 yards with successful hits at 180 yards. The following snippet on the Ruger Super Redhawk is from the September/October 2018 issue of Combat Handguns Magazine, on sale July 3, 2018. To subscribe, please visit OutdoorGroupStore.com. Story by Paul Scarlata; video by Sean Utley. 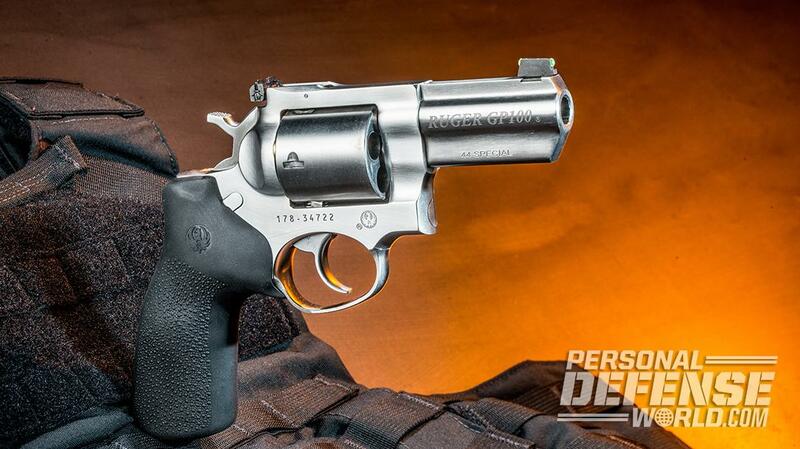 The 10mm Ruger Super Redhawk is a member of a small but distinctive community: Revolvers chambered for pistol cartridges. The first were the M1917 revolvers used by the U.S. Army during World War I, which used a pair of stamped-steel half-moon clips, each holding three .45 ACP cartridges, that allowed the extractor to eject the casings. With the burgeoning popularity of action pistol shooting in the 1970s, the full-moon clip was developed. It held six cartridges, allowing rapid reloads for shooters (including me) using .45 ACP revolvers in competition. I’m sure some of you wonder why Ruger would chamber a revolver for the 10mm when there are so many excellent revolver cartridges. But pistol cartridges provide several advantages for wheelgun shooters, the first of which is reloading speed. Pistol cartridges generally have shorter overall lengths than magnum revolver cartridges. 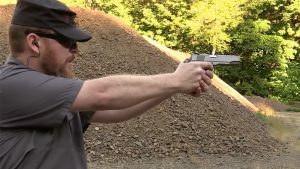 When connected together on a full-moon clip, they can be dropped into a revolver cylinder quickly and ejected faster than the longer cartridges traditionally used in revolvers. Another advantage is that the full-moon clip holds the spent cases together for reliable extraction and ejection, and a stray case cannot slip under the revolver’s extractor, jamming up the works. As for cost, a perusal of websites shows that 10mm ammunition is cheaper than most .44 Magnum, .454 Casull and .480 Ruger rounds. Lastly—and this is of interest to reloaders—spent brass is easy to find and pick up. So there you have it. The new Super Redhawk is chambered for a cartridge capable of taking large game with the advantages of more reliable ejection and faster reloading. What’s not to like? 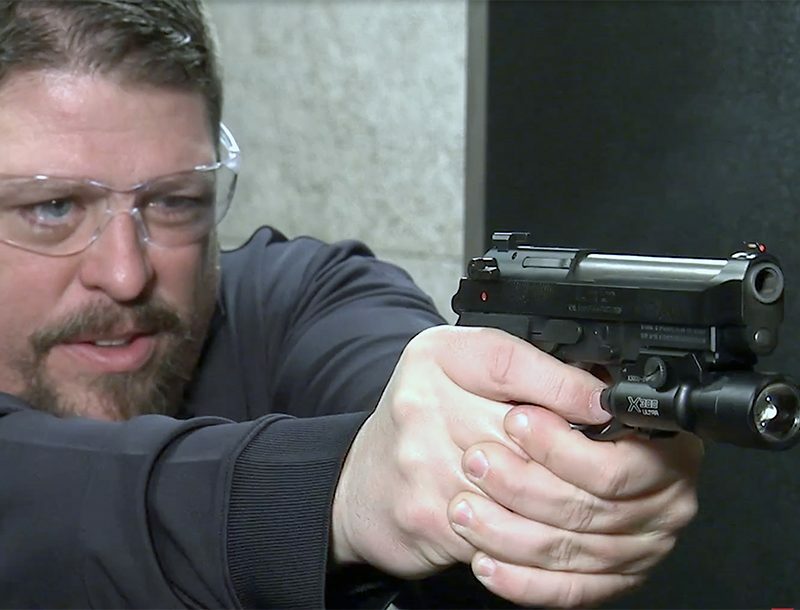 To read the rest of this article on the Super Redhawk, pick up a copy of the September/October 2018 issue of Combat Handguns Magazine. Copies are available at OutdoorGroupStore.com. For even more information, please visit Ruger.com.